Pilates is an innovative system of low-impact aerobic exercise that can be performed either on a floor mat or on licensed Reformer equipment at our Nanaimo Pilates studio. Pilates is widely considered to be one of the best abdominal and core workouts and it can greatly improve your flexibility and balance. It’s renowned for dramatically transforming how your body looks, feels and performs; regular Pilates practice can improve flexibility and agility, alleviate pain, increase mental focus and promote economy of motion. Much like yoga or ballet, Pilates helps foster body awareness, improve your posture and develop graceful movements. It’s commonly associated with promoting weight loss, increased flexibility, sharpened mental focus and toning a leaner figure. Pilates is of particular benefit to seniors and anyone with injuries or mobility issues. 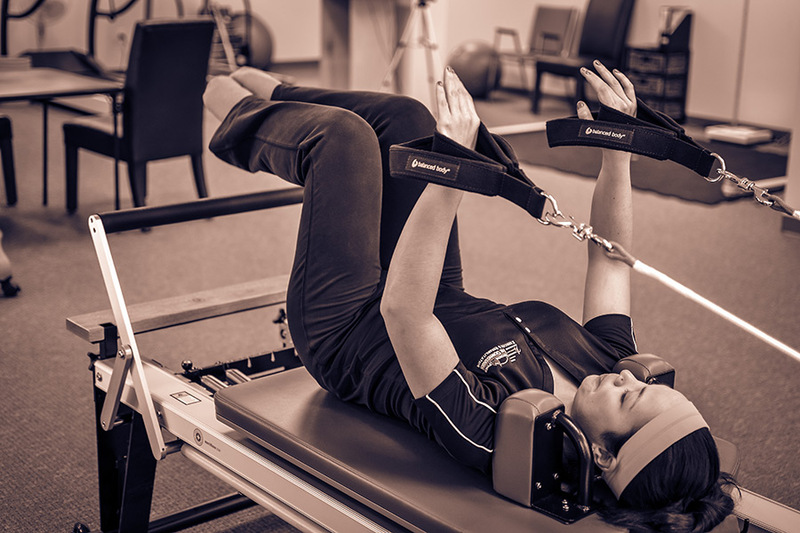 Learn how Pilates can make a difference in your training routine – contact us with your questions, view our classes, or call (250) 618-7853 or today!